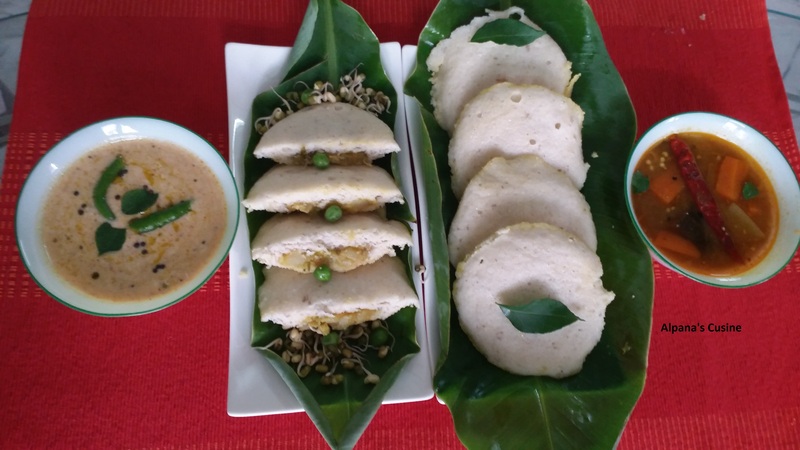 Idli is one of the healthiest and popular breakfast recipe of South India.But also very popular in other parts of India too.Healthy stuffing makes idli more healthier than the normal idlis.Stuffed idli is also served as main dish with sambar and chutney. Kids will also love this one. When steam coming out from the steamer or pressure cooker turn the flame on low heat.And steam 10 to 12 minutes on low heat. Serve hot Idlis with curd and chana dal (bengal gram) chutney (without coconut you can make this a low calorie chutney) and sambar.